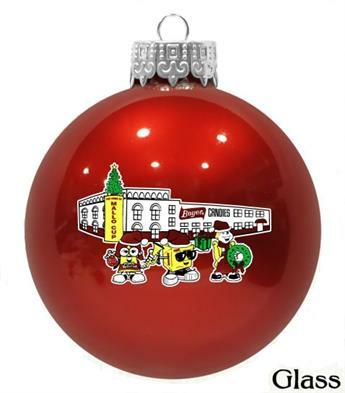 Celebrate the holidays with collectible ornaments from Boyer Candy Company. Who says Mallo Cups don’t have a place in your Christmas celebrations? This red glass ornament is beautifully illustrated with our Boyer characters; Marty Mallo Cup, Patty Peanut Butter Cup, and Sam Smoothie Cup on one side and a Mallo Cup on the other side! This beautiful ornament comes in a limited edition gift box, and makes the perfect addition to any tree!